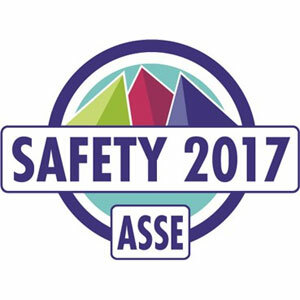 ASSE members already know the story: this is the premier event for safety professionals who want to update their skills, be exposed to new ideas, network with peers and get exposure to innovations that can help improve safety while reducing costs. There are dozens of educational sessions and seminars, plus hundreds of exhibitors on the show floor. Where can I find Cisco-Eagle? If you come through the main floor entrance, swing right and head up row 18. We’re convenient to concessions and the “Super Sessions” floor. You can hardly miss us, with our AisleCop gate running all day. We’ll be easy to find at booth 1861. What will I see at the booth? As mentioned earlier, we’ll have live demos of the AisleCop® forklift safety system and the AisleAlert pedestrian warning system. We will also have the industry’s premier forklift warning light, which can help you avoid cheap, unsafe knockoffs. If you are interested in enterprise level safety reporting (and you should be, given new Federal regulations) we will have a demo of Sospes safety incident reporting software. We’ll also have videos, featuring flexible and steel guard rails, warehouse safety sensors, forklift tine guidance systems, blind spot camera systems, ZoneSafe proximity detection systems and plenty more. Most importantly, we’ll have Cisco-Eagle’s expert safety specialists on hand. They have solved some of the most difficult PIT safety and traffic management issues around, for Fortune 100 companies and small operations alike. Cisco-Eagle Safety Brochure (PDF) We will have copies of this on hand, but you may want to grab one in advance.